Ah it’s is the end of a mad week at work. Why the hell did I make a switch from operations to project work I ask you? 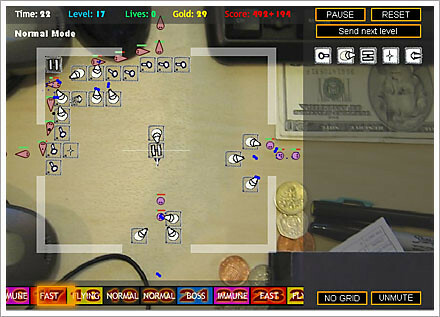 To help you keep your sanity have a go at this browser based strategy game. You have to try to prevent the critters getting across the screen to the exits by building a maze of towers to well, defend.